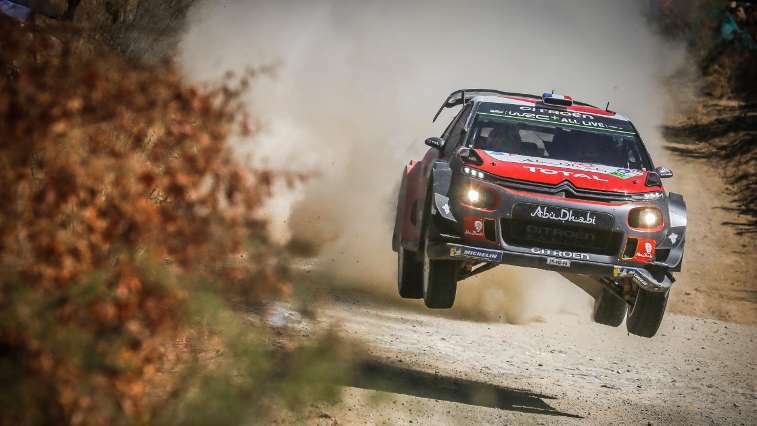 The season's opening gravel round in Europe, Rally de Portugal sees Citroën Total Abu Dhabi WRT enter three C3 WRCs for Kris Meeke / Paul Nagle, Craig Breen / Scott Martin and Mads Østberg / Torstein Eriksen respectively. This three-pronged attack should increase the team's chances of securing a strong result, with each driver pairing offering a broad range of skills and qualities. One of the World Championship's iconic events, Portugal is a rally that all drivers dream of winning one day. Its immense popularity with fans is unrivalled anywhere else and its beautiful stages are clearly appreciated by all who tackle them. 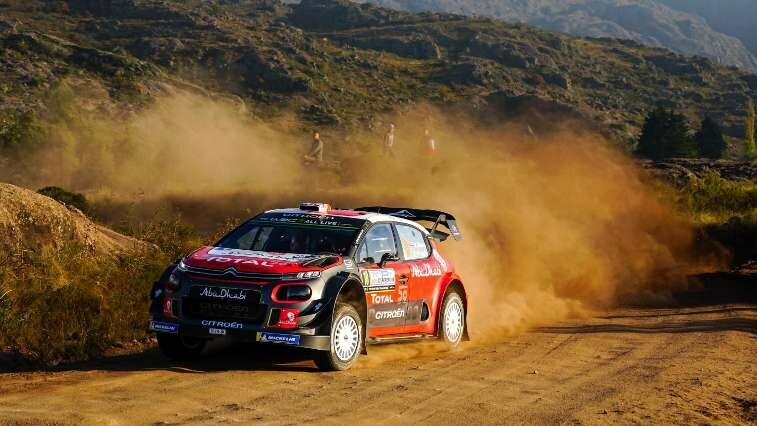 Kris Meeke, winner here in 2016, and Mads Østberg, who prevailed in 2012 when the rally was still held in the Algarve, clearly know a thing or two about the event whilst Craig Breen is certainly determined to follow in their footsteps as soon as possible. With such a strong driver line-up, Citroën Total Abu Dhabi WRT is well equipped to challenge in the sixth round of the season. Among the frontrunners in last year's rally, Kris Meeke has already shown good form on gravel this year. Third in Mexico, he would have undoubtedly secured the same result in Argentina had it not been for a harsh puncture. Kris goes into this round full of confidence from the recent upgrade to the C3 WRC's rear axle, as he looks to get back on the podium. After claiming a promising fifth place last year in the north of Porto and grabbing an impressive stage win amidst the intensive scrap at the front on Friday's leg, Craig Breen will also be keen to up the pace this year. He'll be looking to make the most of tenth place in the starting order on day one to get his rally off to the perfect start. Meanwhile, Mads Østberg, who will be twelfth on the road on day one, is back in the team after an encouraging sixth place in Sweden on his competitive debut in the C3 WRC. He also possesses the experience and consistency to secure a strong result. Before the crews reach the famous Fafe jump just before the rally finish on Sunday, they will need to successfully negotiate a wide variety of timed stages. The loose gravel stages are renowned for becoming increasingly – and irreversibly – rutted as more cars complete, and that can throw a few curve balls at the drivers, especially on the second loop. With the stages unchanged compared with 2017, the championship regulars have a broadly similar knowledge of the stages and so the fight at the front is set to be even more intense. 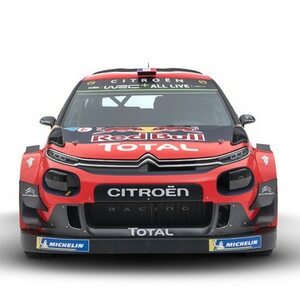 Pierre Budar, Citroën Racing Team Principal: "With Mads back in the team for this round, we have three crews capable of getting results that meet our expectations here in Portugal, at what you might call this year's first 'conventional' gravel rally. Before Rally Argentina, all three took part in six days of intensive testing in Portugal, which proved to be very productive, and with the information also taken from the full-scale competitive testing done on the final day in Argentina, we are fired up for the fight as soon as the action gets underway." Kris Meeke: "After two fairly specific rallies on gravel in Mexico and then Argentina, Rally de Portugal will be the first real test in terms of out-and-out performance. As the stages are unchanged from last year, everyone has the pace notes and the same knowledge of the roads. I'm going to try and take advantage of my sixth position on the road on day one. It's a rally that I really like and I have high hopes that, like in Argentina, I can show the progress that our C3 WRC has made on this surface." Craig Breen: "I have some good memories from 2017. We were fast, especially on the Friday, so much so that we weren't far off ending the opening leg in the lead. The stages are fantastic, the fans are very passionate and there are lots of them too. I would love to fight for a podium place. We were pretty close in Argentina, despite our lack of experience, but this time I want to produce that level from start to finish, avoid making any mistakes and turn all of that into a good result." Mads Østberg "I'm delighted to be back in the team after my last race at Rally Sweden, which already seems like it was light years ago. With this long break, I might need a bit of time to get my bearings again, but I had a good day testing with the C3 WRC before Argentina. The feeling in the car was very good and I felt confident fairly quickly. Rally de Portugal is obviously a bit special for me, as it's the only one I've won in the WRC, but at the time it was held in the Algarve. However, this year my approach will perhaps be slightly more cautious, so I can get my bearings back and make it to the end without any problems. Then I'll be ready to go for a big push in Sardinia." Held on relatively sandy roads, the local stages are regularly worked on by the organisers, ensuring they are generally smooth on the first pass, before then breaking up extensively for the second runs, mainly during Friday's leg. A lot of embedded rocks come loose, ruts form and deepen, which forces the technical teams to adjust the set-up – the ride height, for example – or even adapt tyre choice accordingly during midday service. In the afternoon, due to the combined effects of the ground breaking up and rising temperatures, the crews tend to compromise on tyre choice and go for a mix of soft and hard compound Michelin tyres in Portugal. This approach is especially important given that some stages feature tarmac sections, which can be fairly demanding on the tyres. "I remember our win here with Kris in 2016. It was a great performance from us, because we had led from the second stage until the finish. It was a much more solid performance than our first WRC win, that we claimed in Argentina the year before, because this time we beat the Volkswagens, which were dominating the championship at the time, whereas they had had problems in Argentina. It followed on from some good performances that we'd had in Monte and Sweden during the partial programme we did that season, except that up to that point we hadn't managed to turn our pace into a top result. It was also another stage in our rise through the ranks: there are plenty of crews that have won one rally but claiming a second win was confirmation we had really arrived, and it filled us with confidence going forward. Portugal is also one of the championship's oldest and most iconic rallies. I remember us coming into the Fafe stage as overall leaders. It was a pretty amazing feeling, being surrounded by all these cheering, excited fans."